You've probably heard about this recent Gucci incident. The company has created a Blackface clothing line. Wow. Don't be fooled by Gucci. This wasn't an accident. They're not sorry. When We Buy Black published articles about H&M's disrespectful marketing campaign in 2017, it was brought to our attention that we helped navigate traffic to H&M's store. That may be the case. Let's try something different this time. We know that these major clothing lines have no respect for us despite the fact that we made them famous. They've capitalized on Black oppression, so let's capitalize on their ignorance. This article won't tell you much more about the heinous Gucci stunt. Instead, this is a call-to-action. Drop Gucci and check out this dope, Black-owned clothing line, which is also one of the best-selling companies on We Buy Black. For the longest time, Black influencers have sported non-Black-owned brands, like Gucci, Prada, Coach, etc. But why? 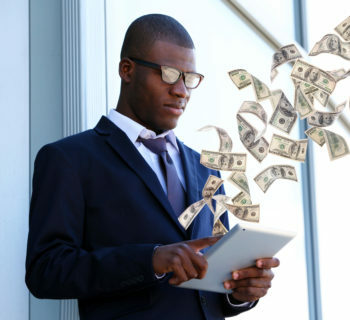 Sure, the aforementioned companies are synonymous with wealth but why don't these Black influencers pour their dollars back into a Black-owned clothing company. Here's a company that should be an alternative for any company that doesn't respect or support the Black community. Civilly Righteous is one of the best-selling Black-owned clothing brands on We Buy Black. Let's ditch these high-end brands that don't care about us and start investing in our own community. Check out this list of great items that you can purchase from Civilly Righteous. No Black-owned clothing brand will ever be as big as Gucci unless we support it. In order to support one another, there must be some sort of unity amongst all of us. 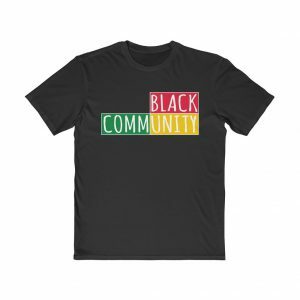 What better way to promote unity among the Black community than to wear this Black Comm(UNITY) T-Shirt from Civilly Righteous? Click here to support the Buy Black Movement, as well as Black-owned businesses. Civilly Righteous isn't limited to selling T-shirts only. 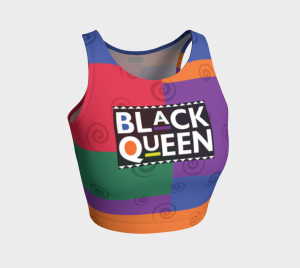 Check out this Black Queen crop top. This is great for casual wear or when you're working out. The throwback 1990s Martin design with the words 'Black Queen' on the chest sends the message that you're a strong, knowledgable, and down-to-Earth Black queen. Click here to buy this crop top now. Are you rooting for everybody Black? You're not? Then why are you on this page? Don't trip, I'm joking. If you've read this far, of course, you're rooting for everybody Black. It's not enough for us to know that you are. 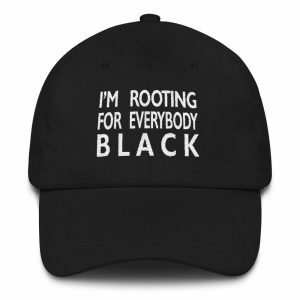 Tell the whole world that you support the Black community with this dope, "I'm Rooting For Everybody Black" dad hat. Click here to get yours today.